Stop pretending it’s okay? What do you mean, Sami? Be patient with me. This blog post is not a lecture in child psychology, but a crackling lesson we all need to digest for dating and romantic relationship success. So – My son gets a little muffin from me every day when I collect him from the Kindergarten. However, he only gets it on the condition that he eats his healthy breakfast in the morning. He is 2.5 years old with a button face, for those of you who don’t know him, yet. This morning he threw a tantrum and did not eat his toast or yoghurt with fruits. While his dad got angry with him for not eating, I told him that it was okay. It was, after all, his choice. He didn’t “have to” eat, but it would have the consequence of not getting a muffin today after Kindergarten. No treat if we’re not being good. Of course, he took it lightly. Just mamma’s empty words. Come 3 pm, and I walk to his Kindergarten and there started a strong internal fight. 1) I am giving him a clear signal that my words truly don’t count. They’re empty threats. 2) I have to embrace the fact that he never may never take me seriously again in the future. 3) I have to acknowledge that he may learn that he can do whatever he wants and there will be no consequences. Understanding the long-term consequences my behavior plays in setting my son’s expectations from me and who he can be, my relationship-coach-self won, and I decided to embrace the short term discomfort of disappointing him and drawing my boundary. Ah. My heart was almost falling out (the mammas amongst you will understand, we can get a bit dramatically emotional when it comes to our little ones!). And Then Came The Surprise. He seemed to understand that if he doesn’t behave well, he doesn’t deserve to get a special treat. I am telling you this because, when your date behaves poorly (or even if it is your husband or boyfriend! ), he probably knows he’s behaving badly too. If my 2.5 years old does, then your man for sure does. Hence, it is extremely important that you don’t pretend that something is okay when it’s not okay because if you do, it’s the sure shot recipe to being taken for granted in relationships and by men. Sending you **** pics during early dating is not okay. Flirting with other women in front of you is not okay. Not communicating with you for weeks while he is travelling is not okay. Not caring about your needs during physical intimacy is not okay. Now, many clients who come to me complain that they do have solid boundaries but their men don’t listen. What I have found again is again is that we “say” the words but, just like in my son’s case, we have to follow through. Just speaking our boundaries is not enough, even though it´s a great first step. Being consequent about our boundaries and making our “NO” mean a “NO” is critical, in order to set the correct long-term tone in the relationship. If you are single, you can learn more about high value behaviours in dating and implementing your boundaries here. If you are in a relationship or married, find the secrets to making the love last in a healthy, empowered way here. P.S. Starting 20th Feb, I am holding an intimate (max 5 women) Rapid Transformation Mastermind experience for a high-impact, fear-busting and empowering love coaching experience for those of you who have wanted to work with me intensely, without paying my high-end private fees. My exclusive attention to YOUR individual challenges and crossing the bridge together. Email us at sami@samiwunder.com to get the details. Sami Wunder is a certified dating and relationship coach, a blogger and inspirational speaker. She helps women all over the world reconnect with their feminine energy and attract and keep the man of their dreams. Sami has been seen on The Daily Mail, The Elephant Journal, The Natural Health Magazine, and The Huffington Post. Sami Wunder is a certified dating and relationship coach, a blogger and inspirational speaker. 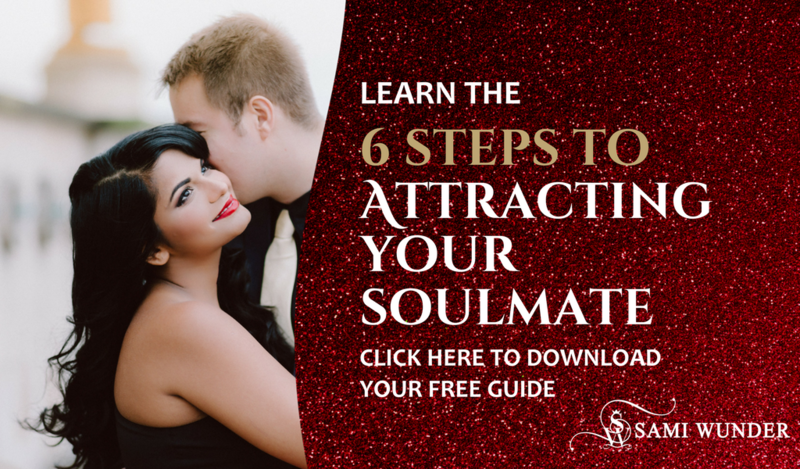 She helps women all over the world reconnect with their feminine energy and attract and keep the man of their dreams. Sami has been seen on The Daily Mail, The Elephant Journal, The Natural Health Magazine, and The Huffington Post.